The Val d ‘Orcia: a beautiful area in southern Tuscany, declared Unesco world heritage, thanks to its incredible landscapes that make this area one of the most beautiful of all Tuscany. 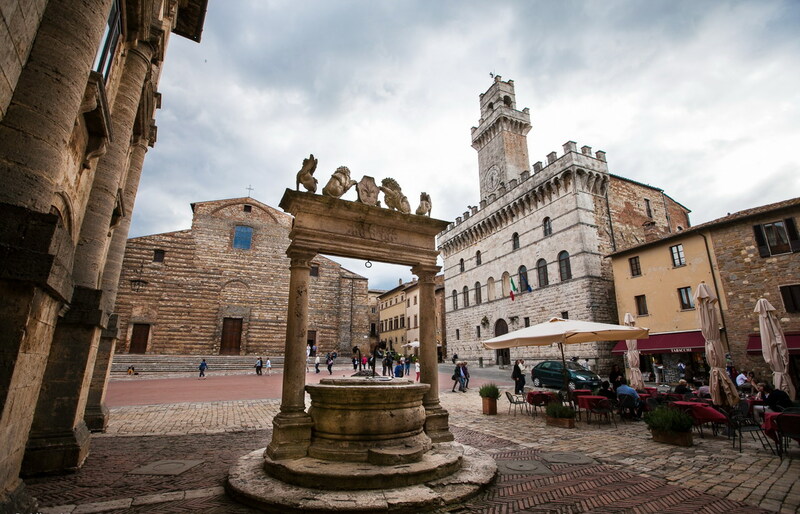 Leave in the morning and in less than 2 hours we reach the characteristic town of Montepulciano. Built in 1500 along a narrow ridge of limestone, known all over the world for its imposing Renaissance palaces, for the elegant beauty of its churches and mostly for the Vino Nobile, one of the most appreciated Tuscan wines all over the world. Free time for visits. In late morning through wonderful landscapes, reach another pearl of the Val d’ Orcia area: Pienza. This is one of the most beautiful Tuscan towns, rare example of Renaissance architecture brought to completion. Considered for long time the ‘ideal city’, and birthplace of Pope Pius II, it represents today one of the practical ways through which during Renaissance men tried to create an ideal model of life and government on earth. Free time for lunch and visits. In early afternoon we’ll continue through enchanting landscapes to reach Montalcino, famous throughout the world especially for the origin of one of the finest wines in the world: Brunello di Montalcino. Perched on a hill on which the mighty fourteenth century fortress rises still today. ..If you want is possible to add a stop at a Brunello or Vino Nobile winery. Ask to our booking office!